Home Sarah Garson One, Two, Cockatoo! One cockatoo on his own in a tree. Two cockatoos fly over . . .
. . . that’s three! 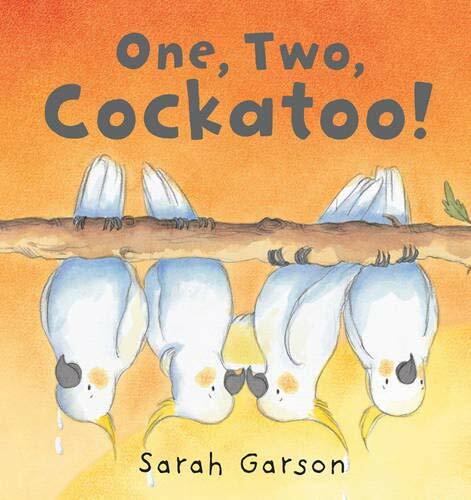 Small children will love learning to count from one to ten as they search for the cockatoos hidden in the pages of this gorgeous picture book. SARAH GARSON was born in Oxford. She attended the Cambridge School of Art and is involved with The Story Museum in Oxford. She is married with one young son.